I love to eat fruits and salad and that is the main reason that I do little twist in every case. 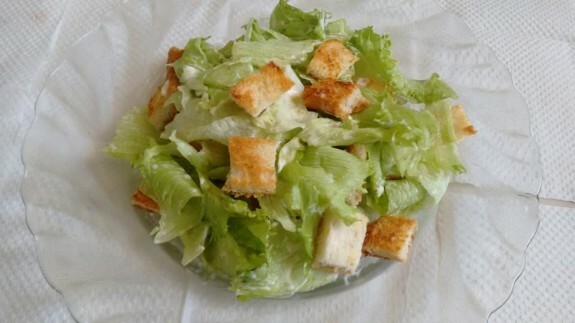 Here I am going to share Veg Caesar salad recipe where I use Mayonnaise as a dressing to give it little taste and twist. 1. Chop the Lettuce leaves and place in cold water or 5 minutes. 2. Remove it from water and place it in a serving bowl or plate. Add croutons and cheese cubes. 3. Take a small bowl and mix all the dressing ingredients. Pour the mixture over the salad. 4. Toss everything properly and serve immediately.